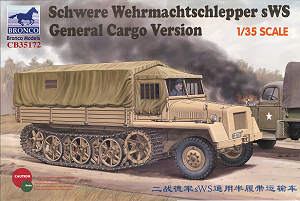 The Schwere Wehrmachtschlepper (sWS) was a simple 5 tonne, low-speed, half-track designed to replace the Sd.Kfz.6, Sd.Kfz.11 and similar types. 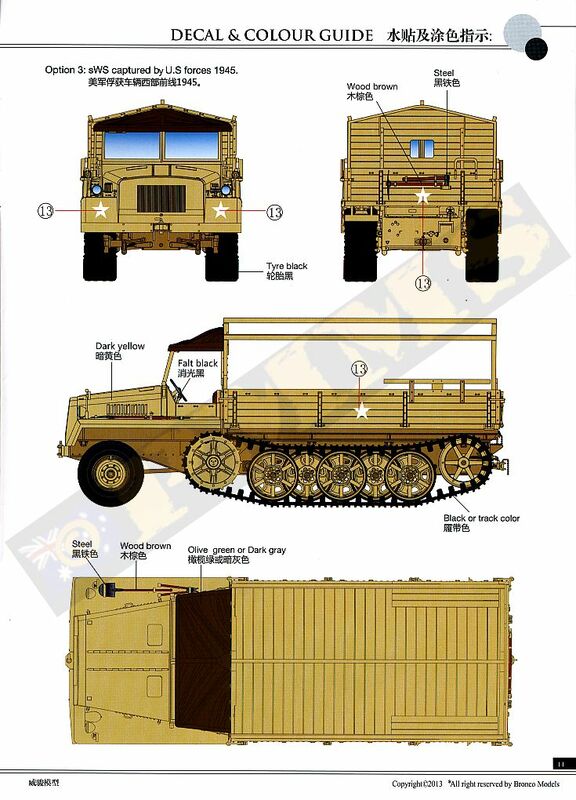 The initial unarmoured cargo version was produced by Büssing-NAG from December 1943 till the end of the war with a total of 825 produced; this was continuing post-war by Tatra in Czechoslovakia. The sWS was powered by a 6 cylinder, water-cooled Maybach HL42 TRKMS gasoline engine generating 100 horsepower (75 kW) which gave it a top speed of 27 klm per hour (17.0 mph) on good roads with a load capacity of 4,000 kilograms (8,800 lb). Later types featured an armoured cab and engine compartment looking similar to the Sd.Kfz.251 with fold down sides for the rear cargo bay. 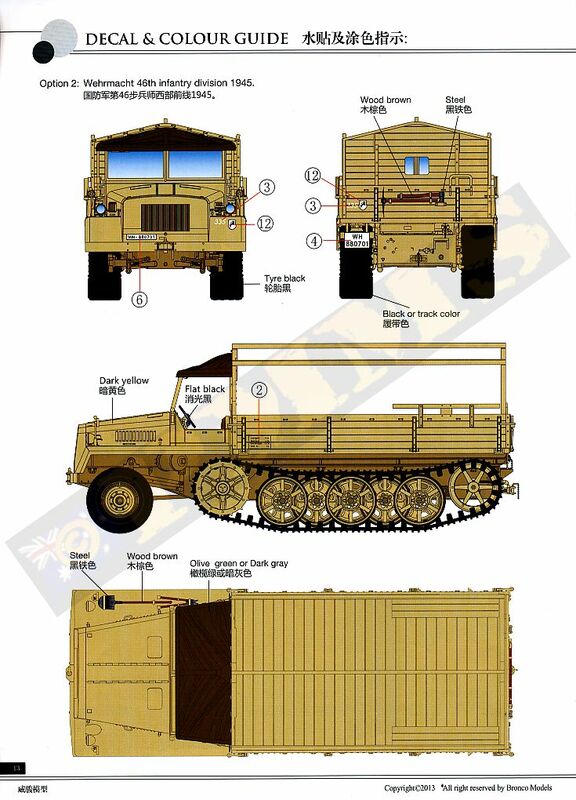 The armoured sWS was also used in two other configurations, one fitted with the 3.7cm FlaK 43 anti-aircraft gun on the rear bed and the Panzerwerfer 15cm Nebelwerfer 42 rocket launcher mounted over an armoured ammunition storage compartment built over the cargo area. 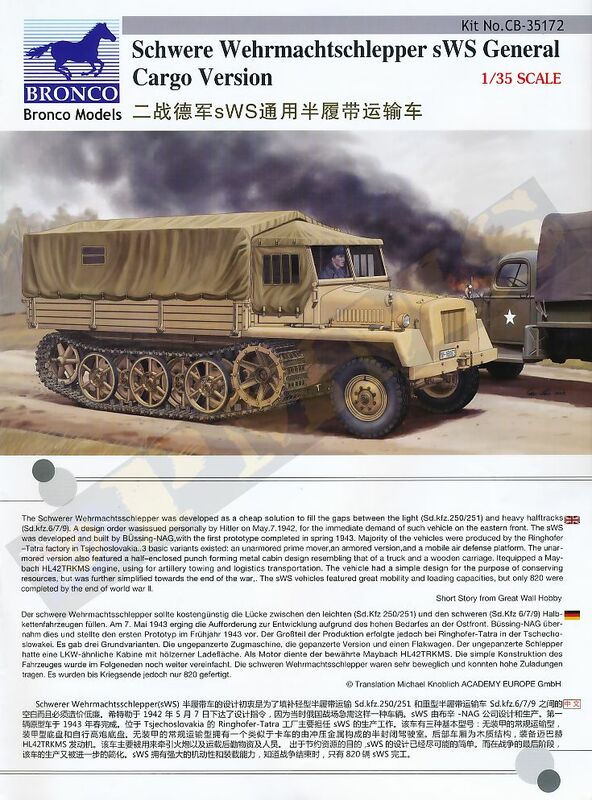 This recent kit from Bronco Models like the previous Bronco kit of the 15cm Panzerwerfer 42 (Zehnling) auf sWS (kit #CB35070) and is basically the Great Wall Hobby kit #L3512 Schwere Wehrmachtschlepper sWS General cargo version with the addition of some modified and some new parts from Bronco. 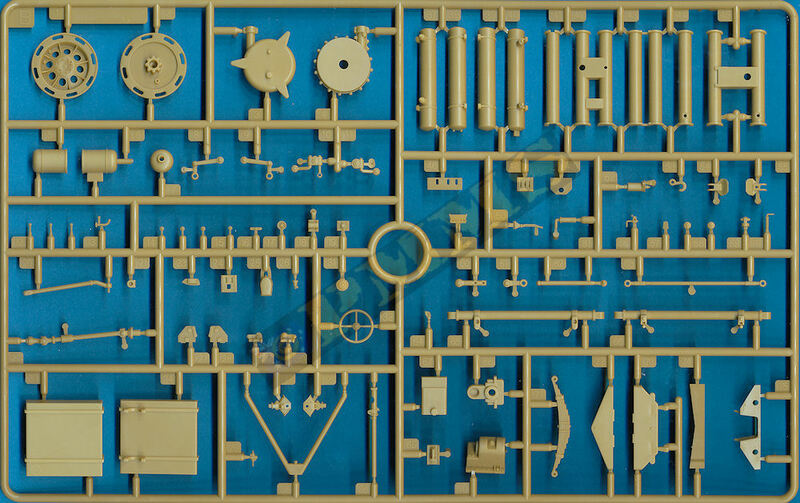 In a nutshell the revised parts are some etched parts and for the engine to correctly depict the Maybach HL42TRKMS as fitted to the sWS and the new parts are for the full rear canvas tilt cover and the crew compartment side canvas doors allowing you to build the model fully enclosed for winter conditions, all other parts are the same as with the GWH kit apart from being in beige plastic with the new Bronco kit. 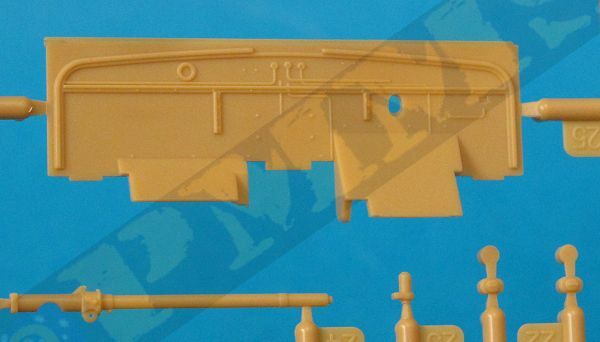 Dimensionally the kit measures up very well against the 1:35 plans in the Tank Magazine and Panzer Tracts No.12 books listed below with parts such as the running gear (apart from one issue as below), track and hull widths being spot on. 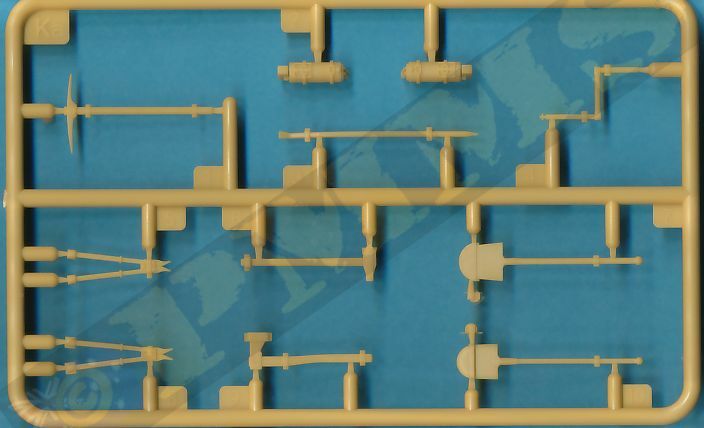 There is also disagreement on some dimensions between the plans with the kit matching parts of one plan and parts of the other. So overall it sort of evens out and the kit certainly doesn’t look out of proportion in any way compared the available photos. 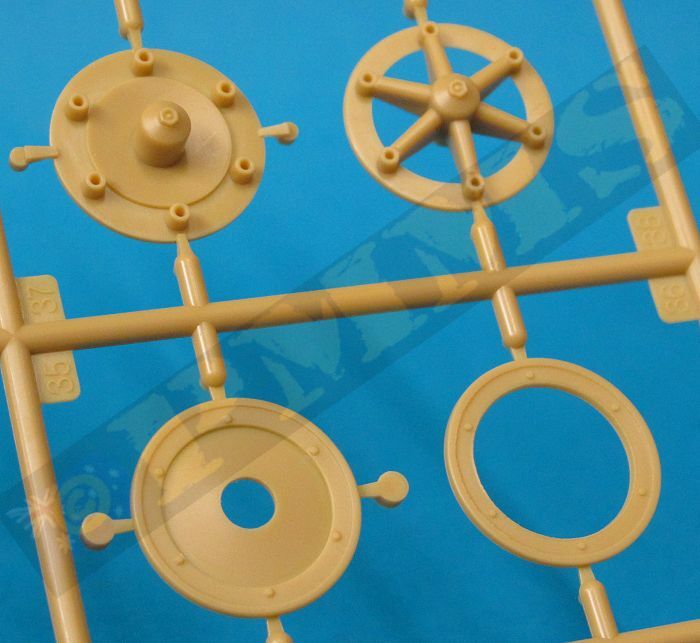 Included in the kit is a number of options including two styles of front wheel rims, two sizes of drive sprocket, the initial large and later smaller diameter sprocket as well as two styles of idler wheels, the initial spoke idler and the solid disc idler with the later style of road wheels which have the full dish wheels on the inside and spoke wheels on the outside of each wheel station. 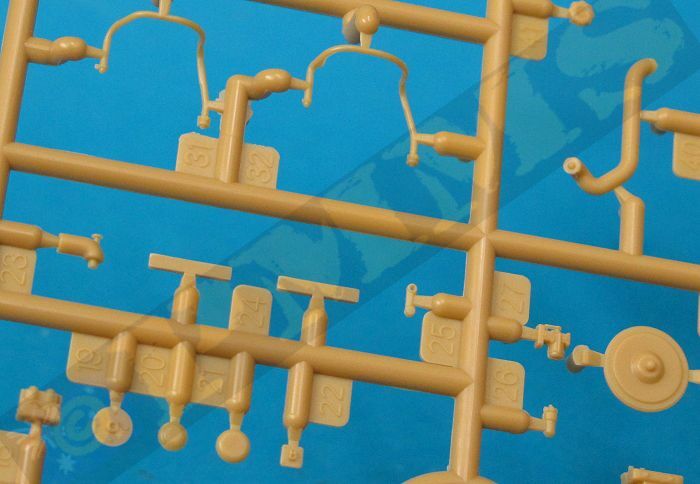 The kit is also broken down into sub-assemblies which can be built separately and brought together at final assembly which allows you to work on one while the glue/paint dries on another and this helps speed up assembly. 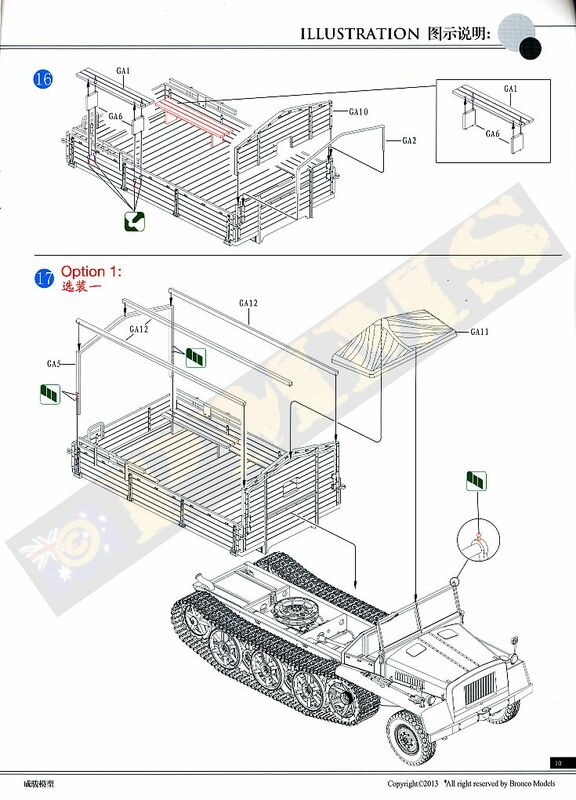 The sub-assemblies are the lower chassis/suspension, forward cab/engine compartment and rear cargo tray. 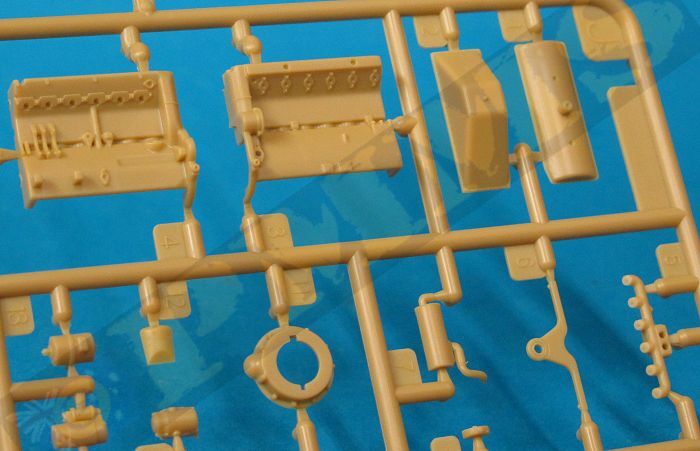 The large lower chassis is moulded perfectly square in one piece which ensures there is a solid basis for the rest of the kit to be built on and added to this are all the separate detail parts. 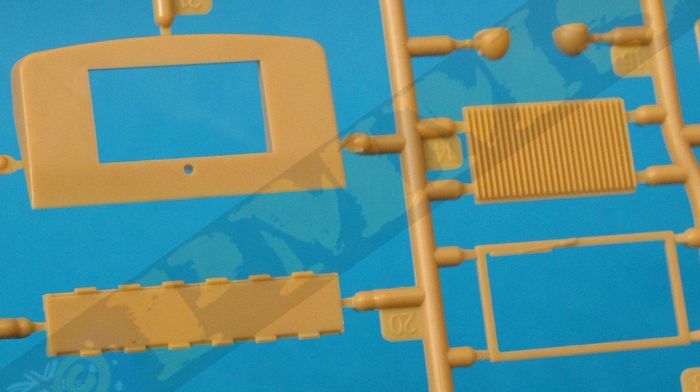 These include the inner torsion bar channels in two halves each and care is needed here to match the right parts together as there are small differences between the channels. 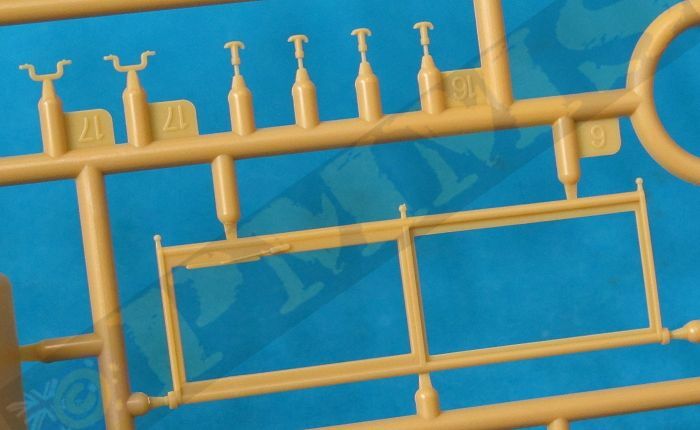 It’s a good idea to mark the part numbers on the parts in a fine felt pen as you remove them from the sprues to make sure there are no mix-ups. 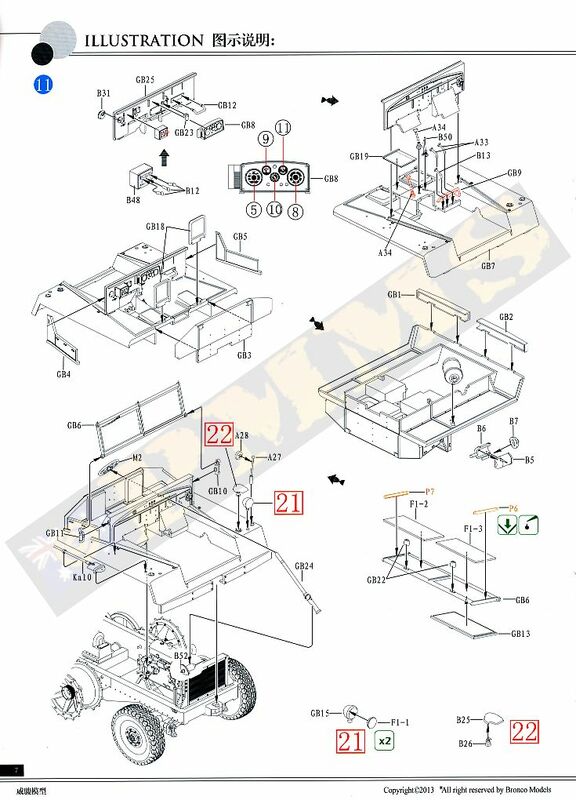 These channels fit neatly inside the chassis without any problems and there is also a detailed 5 part winch, 4 part fuel tank, a couple of bulkheads and two air tanks added inside the chassis as well as a 5 part winch cable guide. 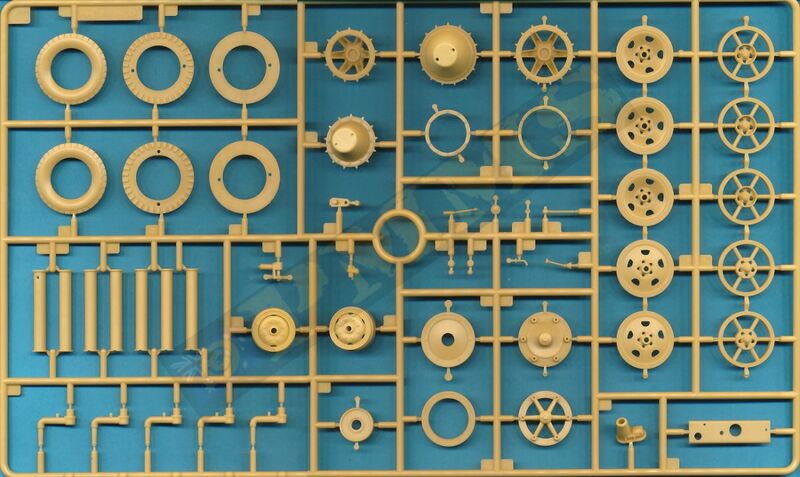 This guide has three very small roller wheels trapped between the two sides and removing these rollers from the sprue and fitting will really test your patience as well as eyesight. 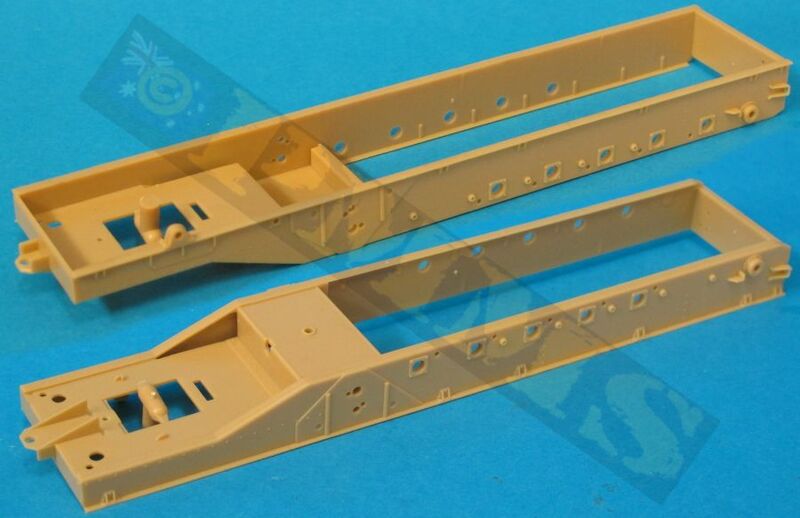 Considering some of these chassis parts can't be seen after the rear cargo bay is fitted you could probably save yourself a bit of work by not fitting some of the parts, it’s your choice. 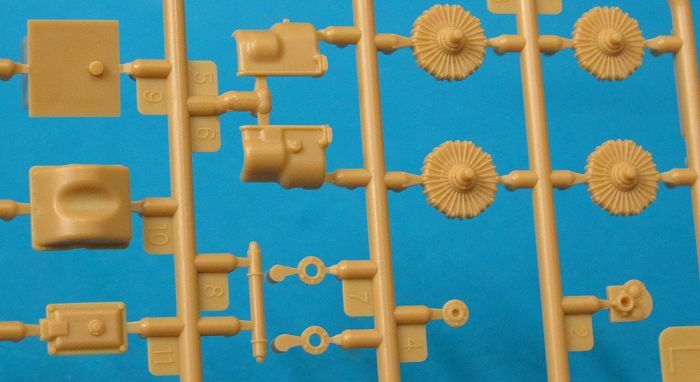 Added to the chassis side are the 5 axles per side which have subtle cast texturing on the arms and you have to be careful removing the moulding seams so not to eliminate the texturing, the arms are hidden by the road wheels anyway so it probably doesn’t matter a lot? The axle arms have a small pin to ensure they are all aligned correctly in the neutral position and if you wanted to articulate the suspension you just cut off the pin and reposition the arm. 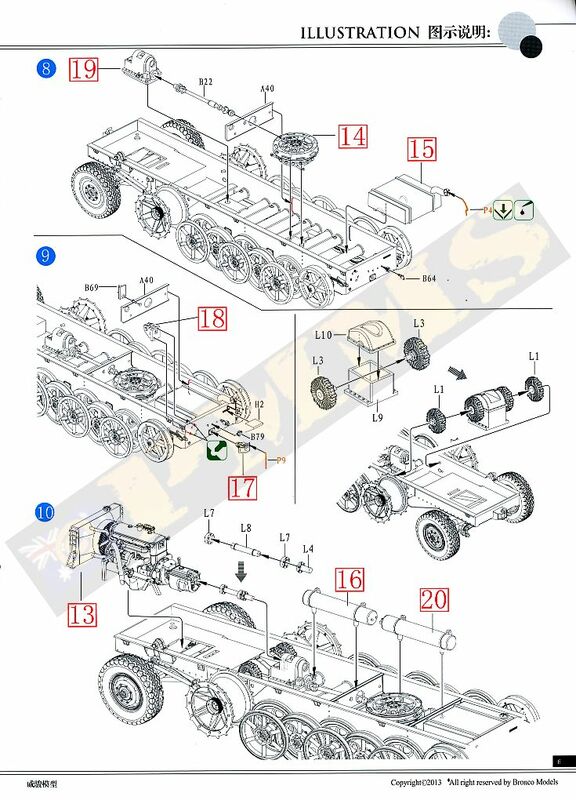 At the back the idler axle mounting has a separate threaded adjustment bolt that fits through the hull bracket with a separate tensioning bolt and gives very good definition to the mounting. 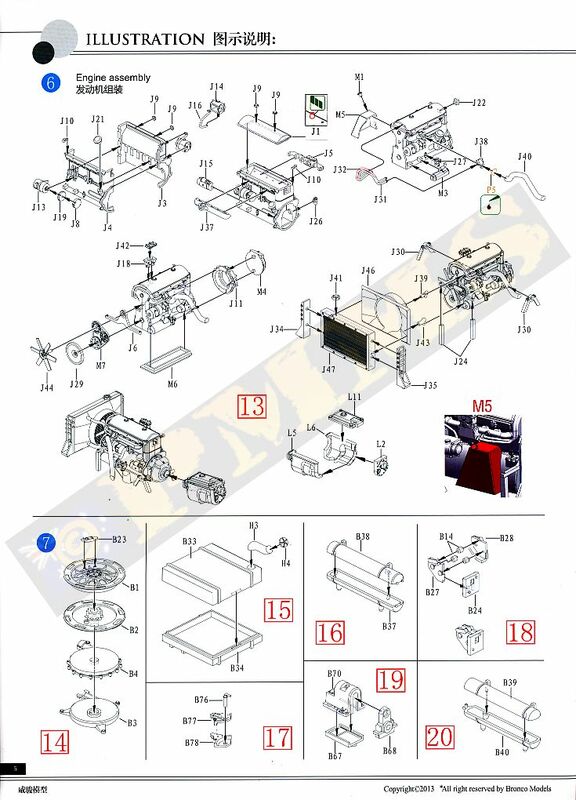 There is also a three part towing pintle, boarding step and compressed air valve as well as the towing pintle on the front of the chassis with separate pin. 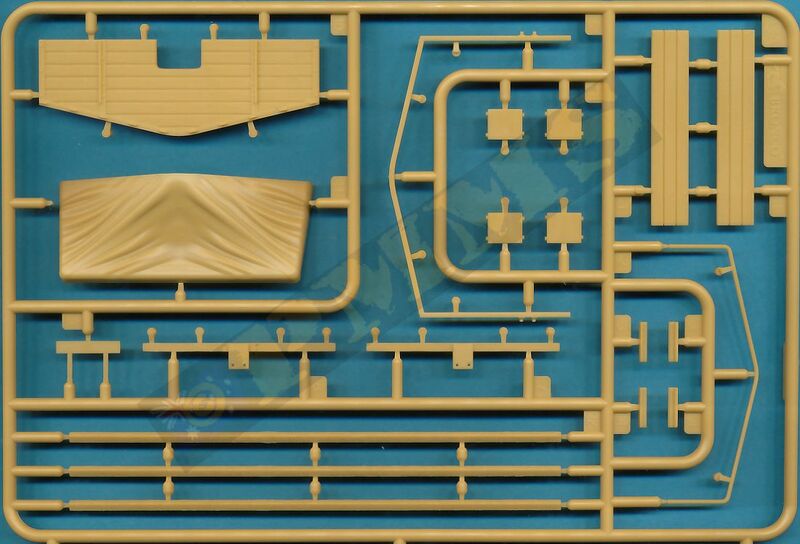 The kit includes the full Maybach HL42 TRKMS engine and transmission to fill the engine bay and this is where most of the kit alterations occur with modified parts to correctly depict the Maybach HL42 TRKMS as fitted to the sWS. 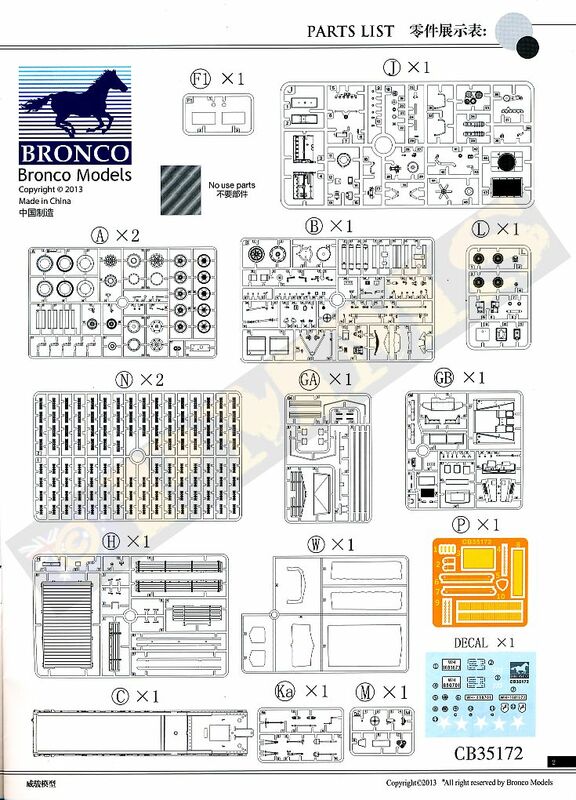 All the alterations from the previous engine in Bronco kit CB35070 which was basically that as fitted to the Sd.Kfz.10/250 series of vehicles are shown in the review of the separate GWH Maybach HL 42 TRKMS Engine for sWS set #L3522 and all these modifications have been included by Bronco for this kit. The engine is highly detailed with all the accessories such as alternator, carburettor, fuel pump, fan, belts with pulleys etc. 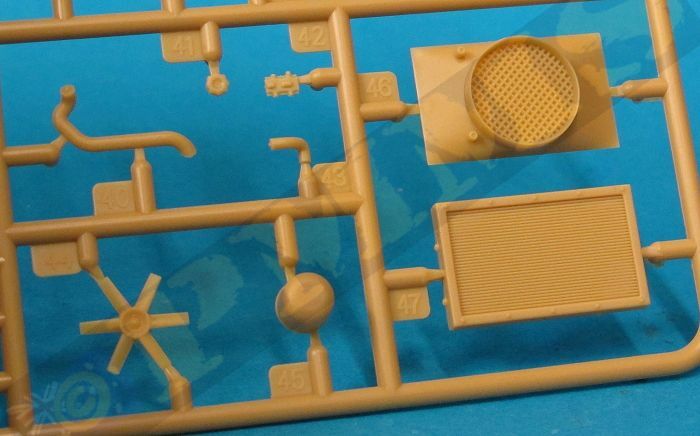 as well as the large air cleaner, side mounted oil tank, intake and exhaust manifolds with their connecting pipes all included as separate parts. At the front is a five part radiator assembly that connects to the engine by two large radiator hoses and a four part gearbox case added to the rear which connects to the transfer box and transmission with four ribbed brake discs for a very detailed and impressive assembly that fits neatly into the chassis bay. 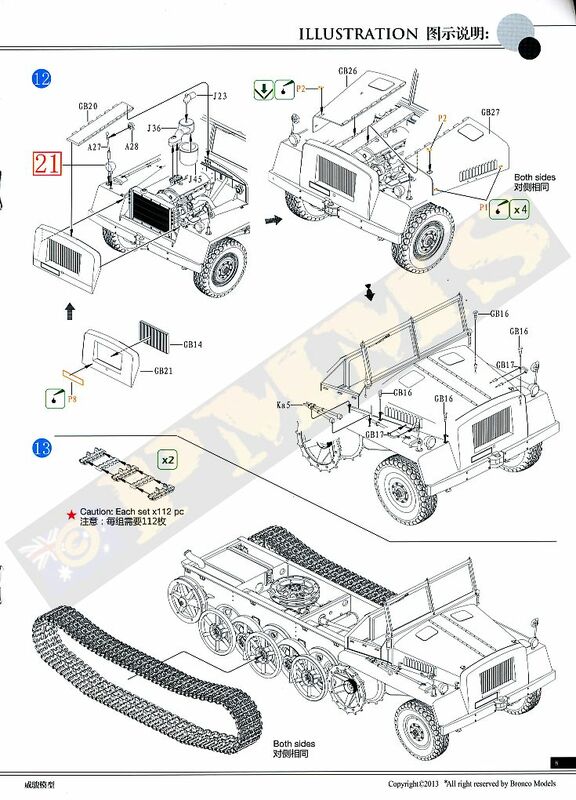 The separate exhaust pipe fits to the exhaust manifold to mate on the inside of the chassis level with the outer exhaust pipe and muffler, unfortunately the inner exhaust pipe fouls on the steering rod (part B36) when fitted and you will have to modify the position of the exhaust pipe so it misses the steering arm. 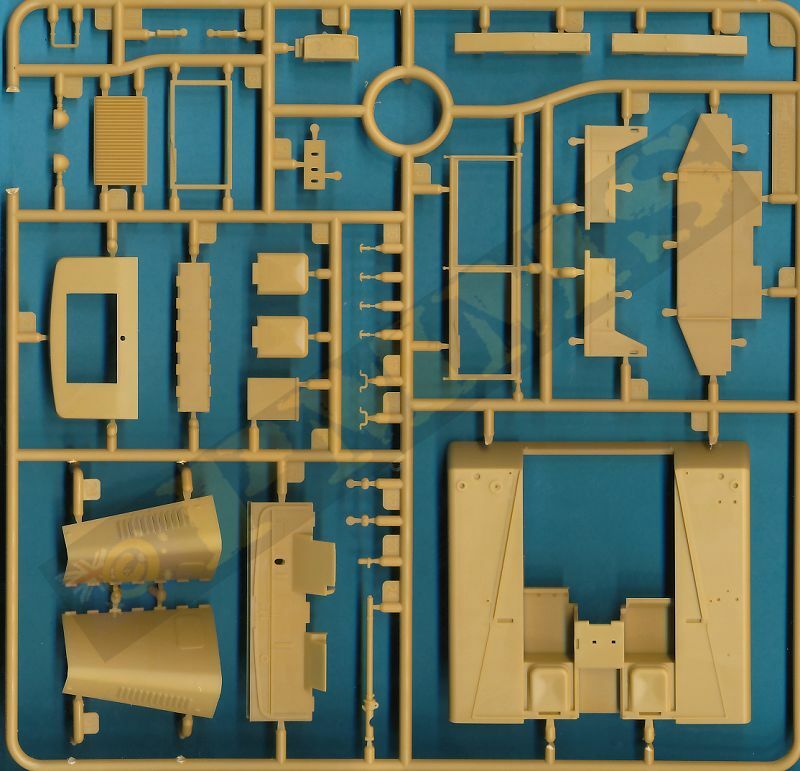 The sWS didn’t have an open engine bay with the bottom of the bay fully enclosed to prevent debris entering the compartment and the large square and smaller round holes will need to be filled in the kit compartment floor before proceeding. 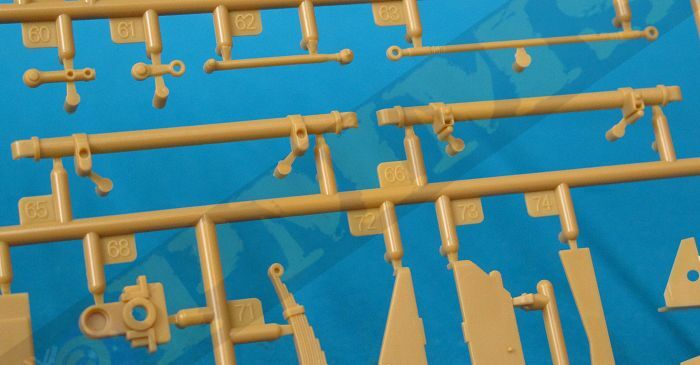 The front suspension/axle assembly is made up of 18 parts that apart from the moulding seams doesn’t need any further clean-up and the front wheel axle stubs are designed to be steerable so be careful with the glue. The only adjustments made were to reduce the depth of the small brackets on the end of each axle half (parts B65, B66) so these will fit a little loose inside the axle stubs (parts A13) to allow easier movement. The pins on the steering linkages (part B10, B11) fit into the steering rod (part B63) and it’s best to heat melt the ends of the pins to secure these as there is nothing to actually hold these in place if you want the wheels steerable. 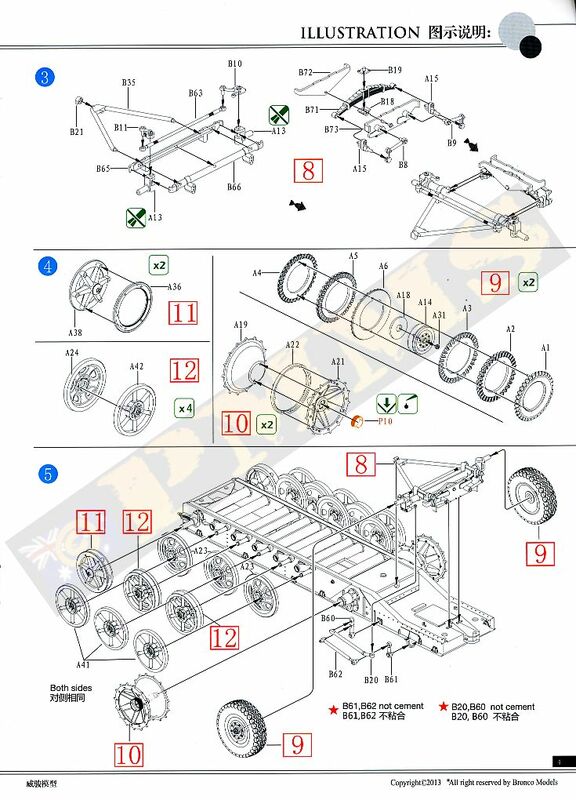 The remainder of the assembly is fairly straightforward but a little fiddly so take care to get everything in the right position and the assembled suspension unit then fits neatly into the locating holes on the bottom of the chassis. 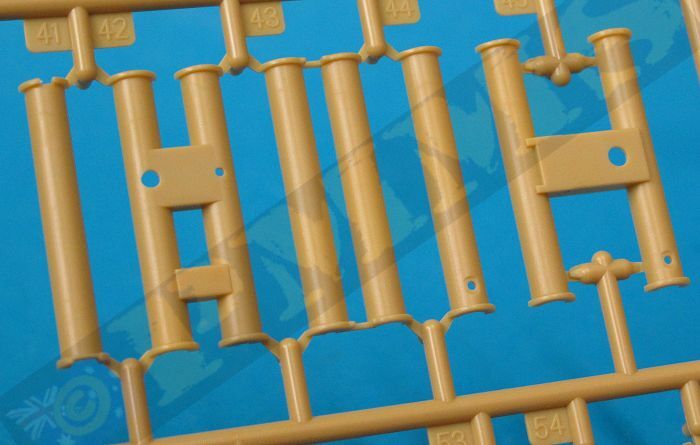 There are 4 steering linkages added to the left side of the chassis and as we have seen on some other kits these are not designed to be movable and once glued in place negate the workable steering? This does allow you to position the front wheels at any angle as you glue the linkages for a bit of animation and it’s also a simple task to modify the steering linkages to make these workable for truly workable suspension if you wish. 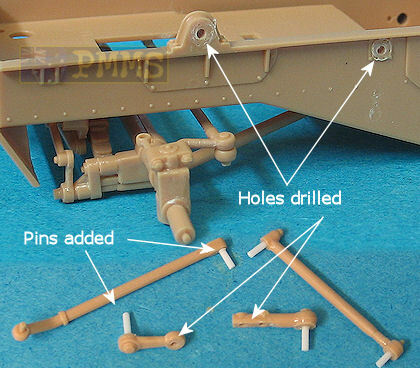 This entails cutting the locating pins from the parts to fill the corresponding locating holes and when dry drill holes for the thin plastic rod pins (I used 0.6mm plastic rod) added to the appropriate places on the linkages. You then slip the pins through the holes and secure by heat melting the ends of the pins which results in fully workable steering. This entails cutting the locating pins from the parts to fill the corresponding locating holes and when dry drill holes for the thin plastic rod pins (I used 0.6mm plastic rod) added to the appropriate places on the linkages. You then slip the pins through the holes and secure by heat melting the ends of the pins which results in fully workable steering. See images. Holes drilled in chassis and linkages to take the pins added to the rods. 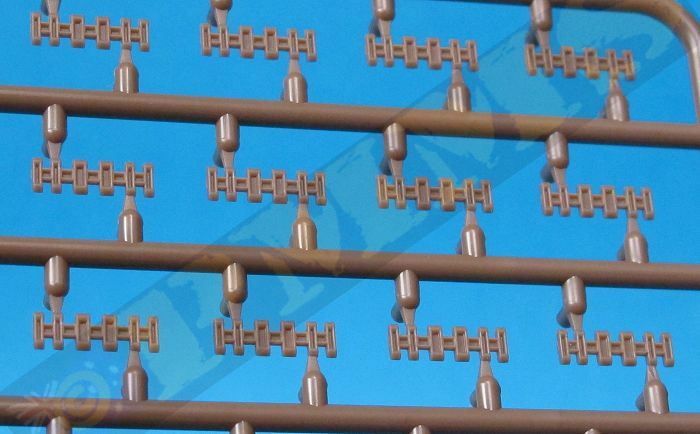 The pins are heat welded to secure in place. Modified steering linkages allow for full movement. 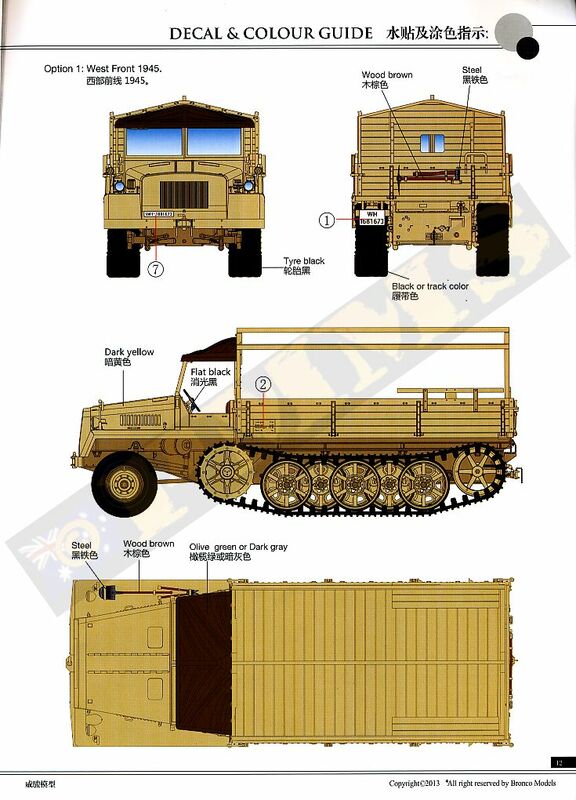 The front wheels have alternate hubs with subtle differences in the details such as rim bulge and number of lightening holes with both types seen in photos of the sWS so there is no real preference here as either can be used. 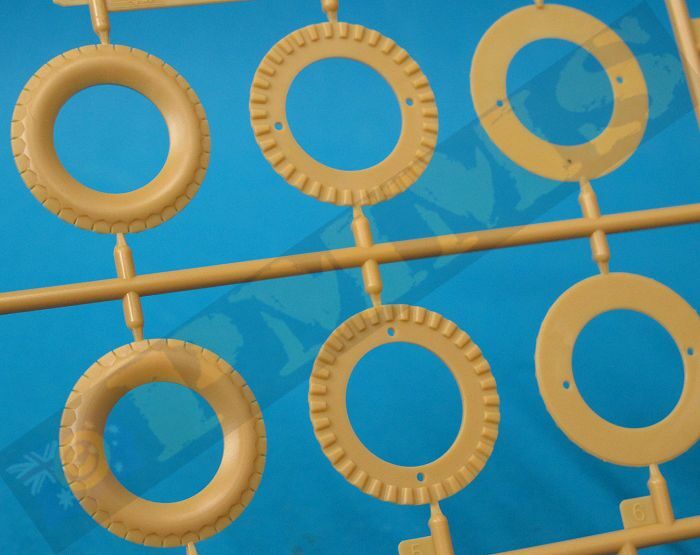 The tyres are in six sections each which are sandwiched together for excellent representations of the tread pattern but you have to ensure the segments are put in the right order and also you should squeeze these together tightly when gluing to eliminate any gaps. The hubs are a nice tight fit inside the tyres when assembled with the final wheels looking excellent with the well-defined tread pattern; the only thing missing is any tyre side wall embossing but apart from that are very well done wheels. Each drive sprocket is made up of three plastic parts and care is needed to clean up the mould seams inside the outer disc spokes and you need to watch the tooth alignment when gluing the inner and outer sprocket discs together. There are two locating pins between the two sprocket halves and you should test fit these as the teeth only align with the pins one way, if you fit the pins the other way the teeth don’t align so make sure you get the two dish halves aligned correctly before gluing. Added to the sprockets are new etched step rings around the central hub and these have tread plate texturing on both sides for a good impression. There are a couple of issues with the etched ring in that they now include engraved detail on the inside of the parts, this makes bending to a perfect circle difficult as the brass tends to bend at the weakest point i.e. the engraved line. The other issue is the etched ring strip is about 1mm too short to go completely around the central hug leaving a gap once fitted. It’s best to bend the etched part around a suitably sized drill bit shaft so you can press down firmly to get the perfect circle finish before fitting. As mentioned there two sizes of drive sprockets supplied in the kit and the majority of reference photos of the sWS show the larger sprocket with only one shot I found with the smaller sprocket. 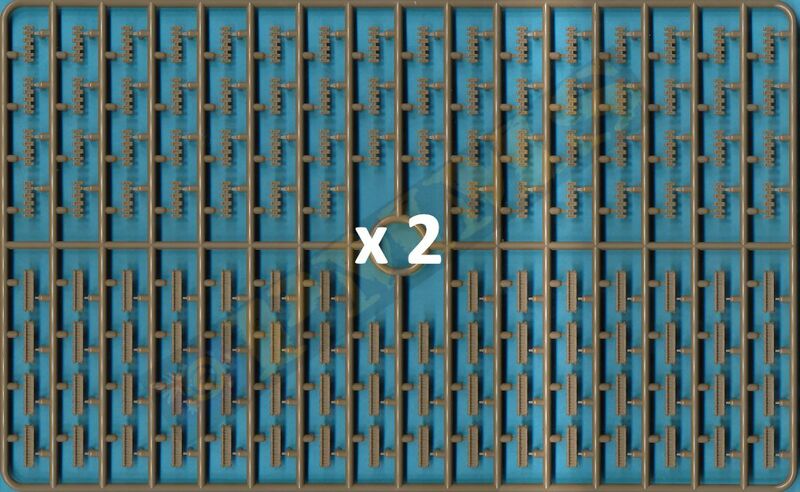 This does show both were used but it appears the larger is far more common, it also looks better IMHO. 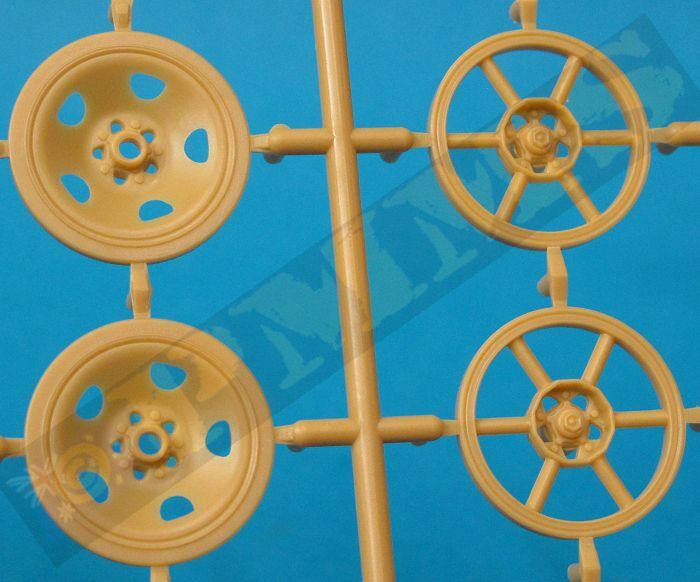 The road wheels have the solid dish type for the inner wheels and the 6 spoke type road wheels for the outer wheels which is the appropriate configuration as seen in some period photos. 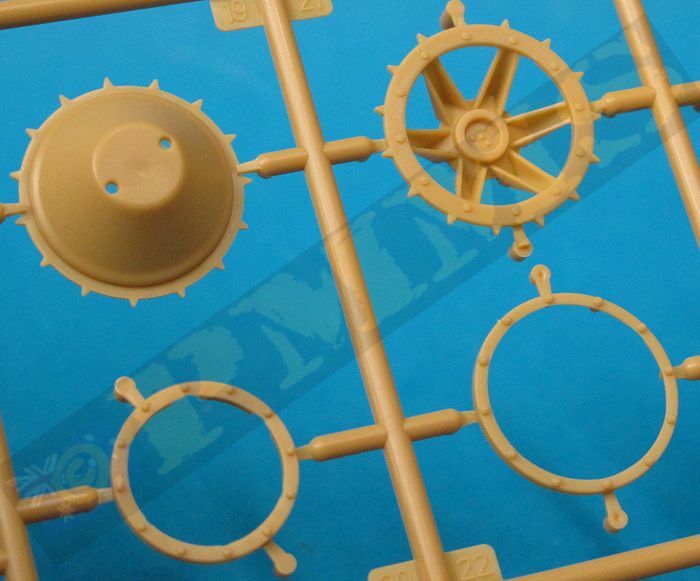 There is a bit of clean-up needed on the spoke wheels to eliminate the mould seam on the spokes and the inner rim face which does become a little tedious but anyone having experience putting together Panzer IV or Churchill road wheels or similar will find these a breeze. As with the GWH kit the solid dish and spoke road wheel sizes are slightly different diameters, this is due to the design of the actual steel wheel which incorporates an internal rubber damped rim while the solid spoke wheel has the rubber section on the outside and the natural compression has all wheels with even track contact. 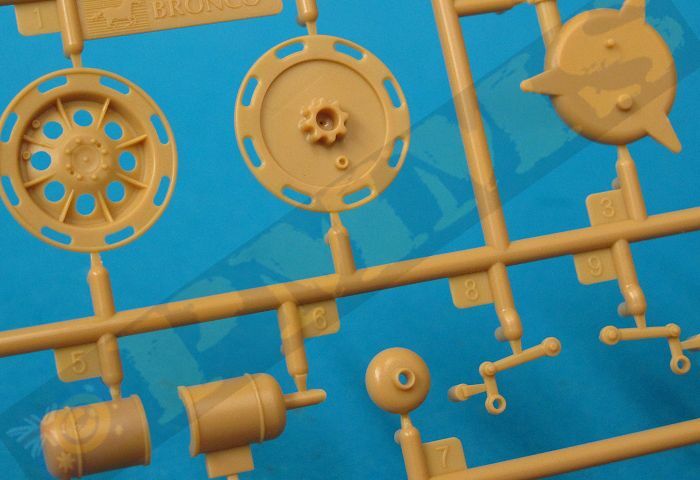 This means both types of wheels included in the kit are technically correct but unfortunately due to the fact the wheels are in plastic there is no compression and this results in a scale issue with the assembled suspension when translated from real size to 1:35 scale in that the slightly smaller spoke wheels don’t make ground contact. On the actual sWS with mixed road wheels the compression of the outer rubber section of the solid spoke wheel due to the weight of the vehicle would see both sitting flush on the track surface. 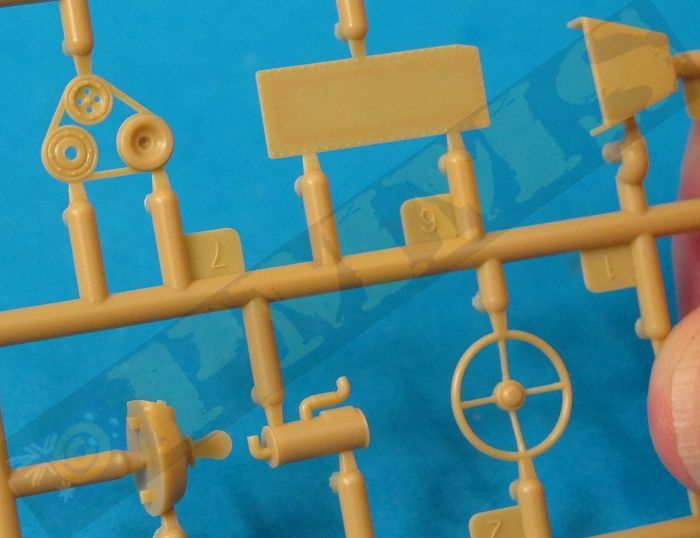 So while the kit wheels are technically correct unfortunately allowances for this compression is not replicated in the plastic kit wheels and you still have the spoke wheels hovering above the track slightly as shown in the images due to the difference in diameter of the wheels. The quickest remedy is to shave down the rubber section of the solid dish wheels to replicate the compression allowing them to sit flush on the track surface with the smaller diameter spoke wheels. The small discrepancies may not be an issue for some and the small difference may not be that noticeable with the tracks fitted? both have the same dimensions and detail included. Note the outer spoke wheels are slightly off the ground due to being a little smaller in diameter to the full dish wheels. 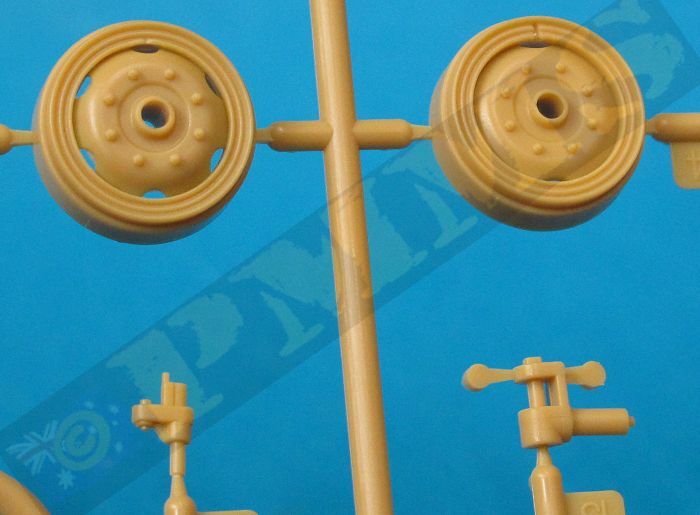 At the back are alternate 2 part idler wheels, the initial spoke type and the later solid dish type with references showing the spoke type are more commonly seen so check if you are building a particular vehicle as to the idler type used. 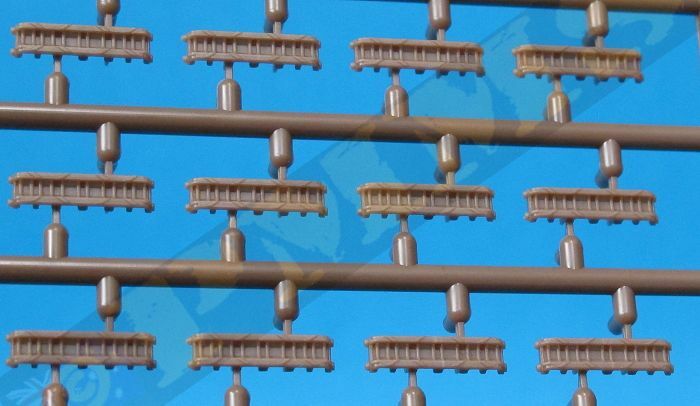 These are individual plastic links that are not workable but designed to just glue together with the track runs formed around the drive sprockets and idlers before the glue dries completely. 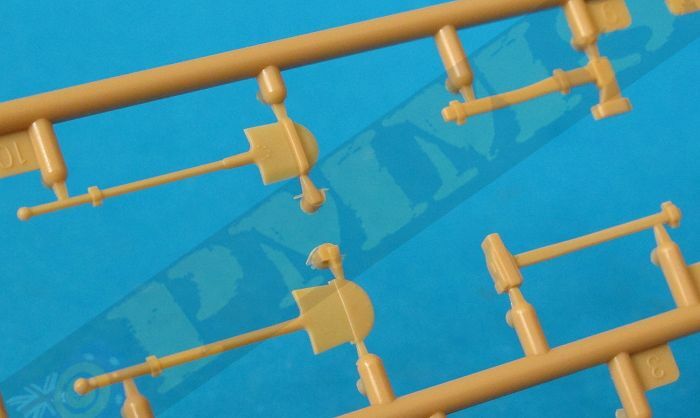 Detail on the track links is very well defined but there are some small pin marks on the inside of the alternate links without the guide teeth but these seem to disappear after assembly and are not at all obvious on the links I glued together for this review. 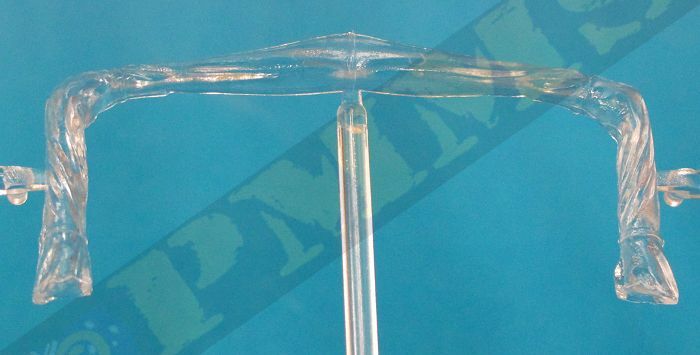 While the links are not workable they are large enough for you to drill and add a 5mm wire pin at each side to make them workable if you wished. Or if you have a set of Friul metal sWS tracks (set #ATL44) these should also fit as the Italeri sWS sprockets for which they are designed are the same size and tooth pitch as the sprockets in this kit. 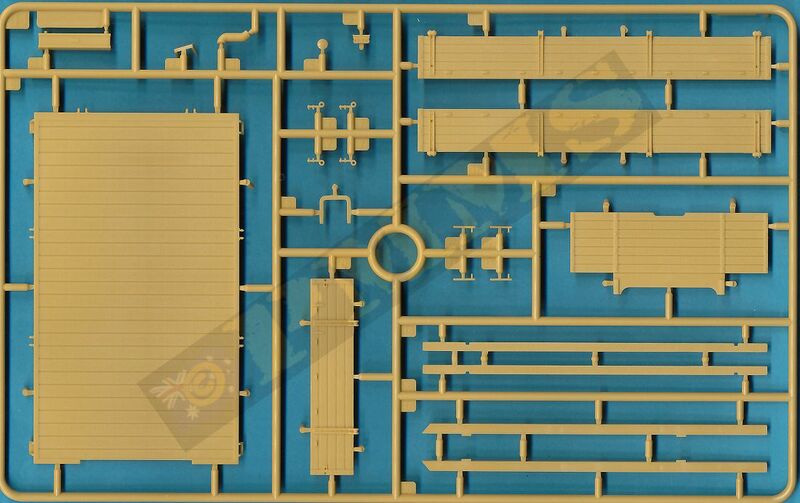 The kit includes a large moulding for the front fenders and interior cab floor pan that includes a full driver’s compartment which can be seen easily due to the open cabin. The engine firewall has details included on both the engine and cabin side with a separate horn on the engine side and separate instrument panel with decal dials, radio and small lever box with three very small levers added to the driver’s side as well as the three separate foot pedals and two gear levers and the hand brake for a fairly well populated compartment. There are small sink marks on top of the two gear levers to fill and the steering wheel is fitted to the separate steering column that extends to the chassis mounted steering box. 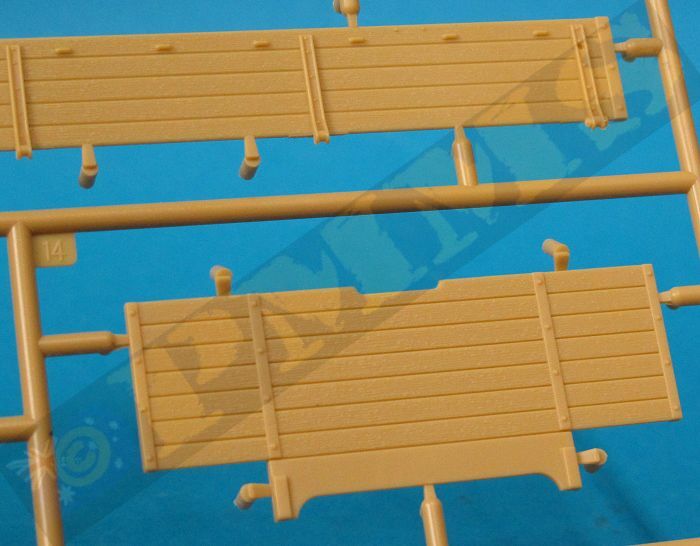 The seats are in three parts each and the floor has subtle tread plate included to give a good overall appearance. Added to the fenders are the pioneer tools with moulded on clips, the two front head lights with clear lenses and two part Notek light and the width indicator posts with a mirror on the left post. Under the left fender is a three part exhaust muffler with the end of the short pipe hollowed out for a better appearance and two bumper bars are added to the front. 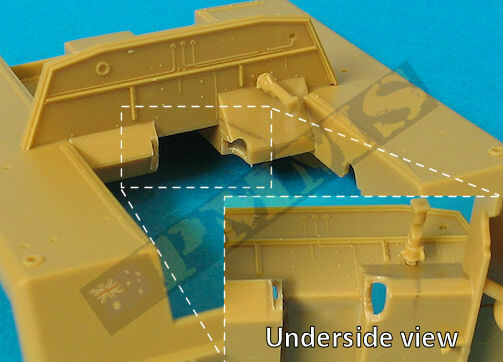 The fit of the upper armoured cab to the lower fenders is very good with small locating pins resulting in no filler or trimming being required BUT you do need to trim some plastic off the firewall for the engine to fit properly. 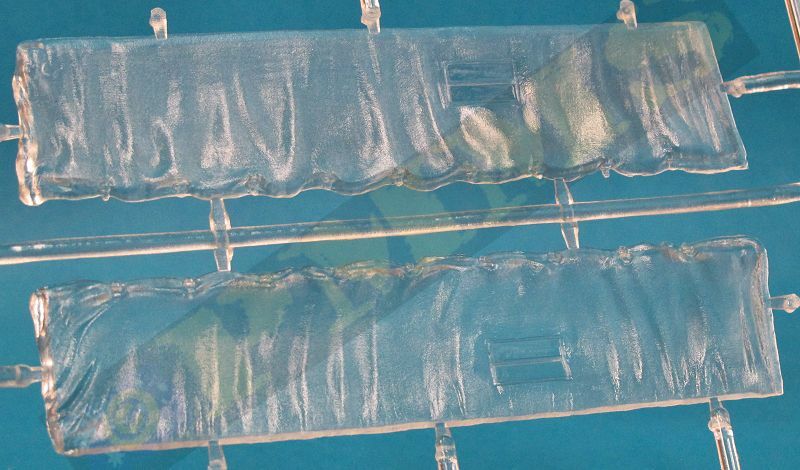 You don’t need to trim much plastic and repeated test fitting and minor trimming will result in much smaller gaps appearing inside the crew compartment. 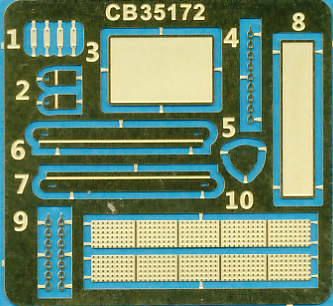 The inner pedal plate (B46) acts to hide the gap in any case if you just cut away the bare minimum to allow the engine to fit, see images. 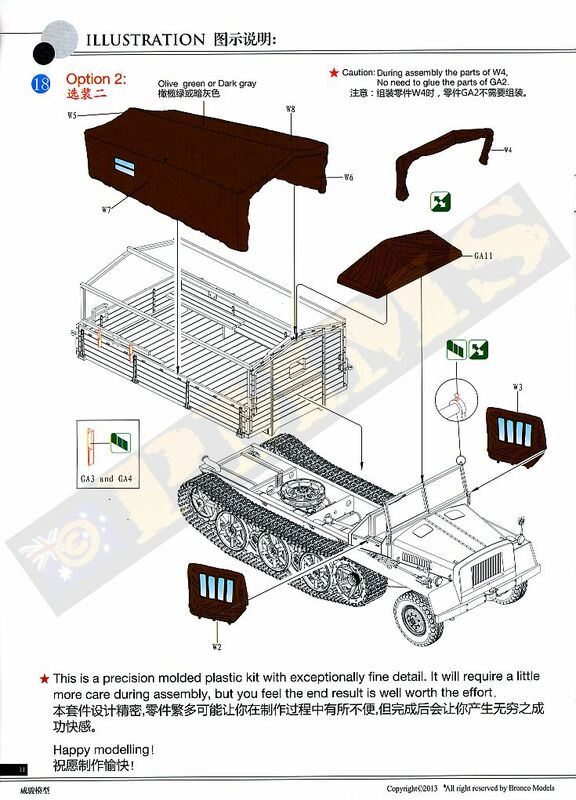 There are separate side and rear cab panels that fit to the floor/fender part and the windscreen frame with clear 'glass' panels added is located on top of the firewall by means of two attachment posts either side which allow the windscreen to fold down flat if required. 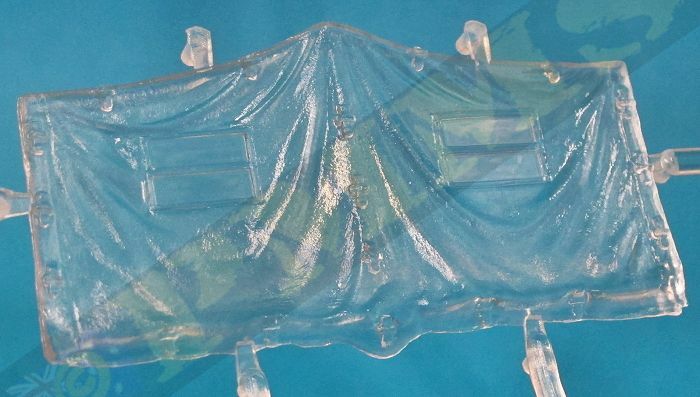 Other parts added to the windscreen are the inner wiper motors and side etched brackets although the wiper blades are moulded in with the clear windscreen glass sections. The engine compartment hood is in three parts, the central top hinged panel and the two side L shaped side panels that allow you to show these open if you wish. 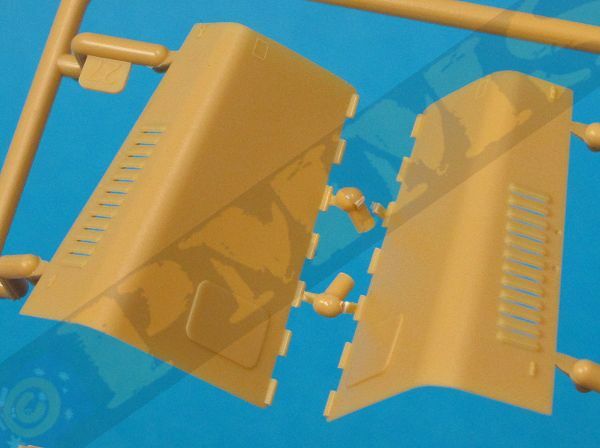 The side panels have very nicely moulded open louvers for an excellent appearance, there is some flash in the louver opening that needs to be carefully removed to fully open up the louvers but this is quite thin and easy to remove with a sharp #11 blade. Smaller fittings added to the hood doors are side grab handles and the securing 'T' clip all moulded quite finely as well as small etched brackets on the top of hood panels. 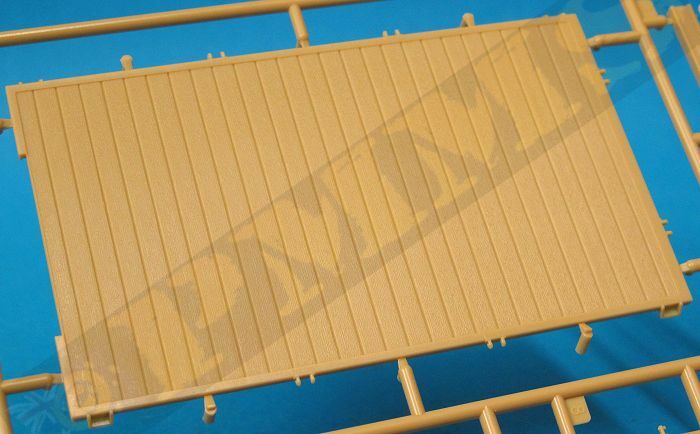 The front radiator coaming has an opening for the radiator which is a separate part added from inside with fine grill texturing as well as an etched number plate added to the lower front. The top hood panel fits between the front radiator panel and the firewall with all the panels fitted either side. The fit was good but there may be some minor trimming needed depending on the proper location of the radiator coaming and firewall. 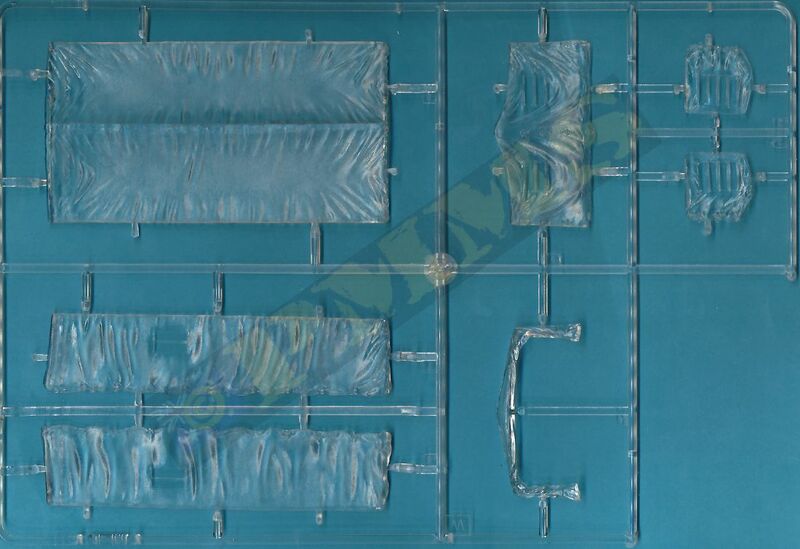 A separate canvas cover is supplied for the cap should you wish to add a roof as well as new side canvas doors in clear plastic that eliminates any join between the clear windows and canvas after painting, the texture on the doors is very well done plastic. If you fit the new doors it’s best to cut off the three moulded on tie down cleats on the side cab panels to allow for a better flush fit of the doors. You should note that the rear support for the canvas roof is attached to the front of the rear cargo tray so you can't add the rood until after final assembly of the cab and tray. The fit of the cab to the lower chassis is very good with small locating pins resulting in no filler or trimming being required. 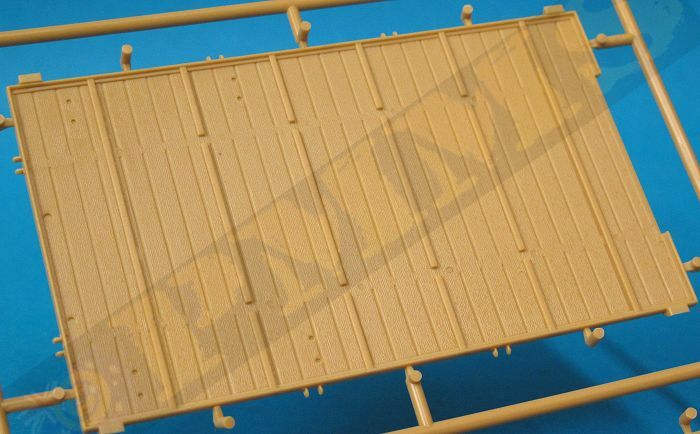 The cargo tray is made up of five main parts, the large floor with separate front, real and two side panels all of which have fine wood grain texturing included. This is moulded quite fine and not overly heavy as often seen with the wood planking also nicely defined. The most notable feature is the complete lack of pin marks in any of the panelling/wood grain texture to give a perfect blemish free finish. 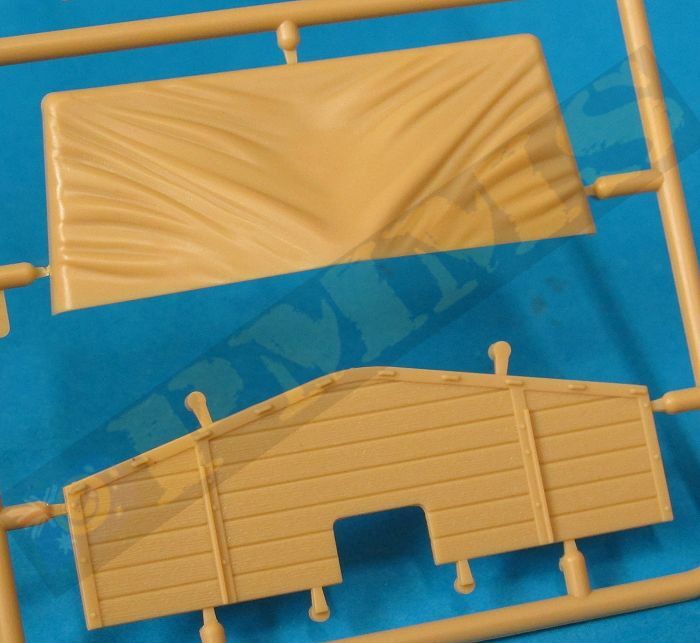 The side and rear panels have the vertical hinge brackets finely moulded and these allow you fit the panels raised or lowered as you wish for travel or unloading dioramas. 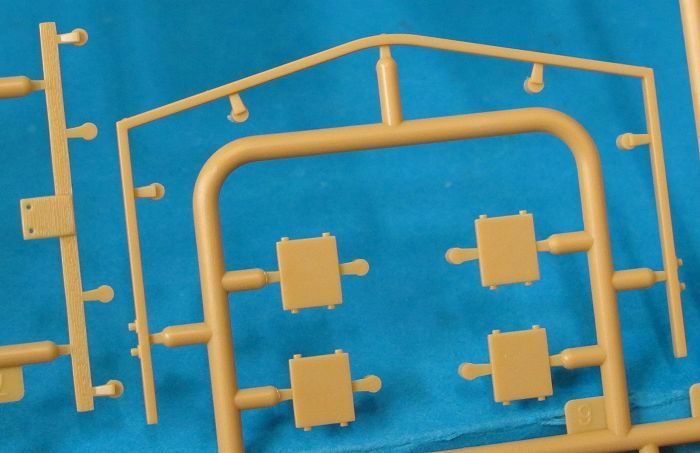 There are also very small securing clips for the folding panels that will need care removing the fine mould seam before fitting. Added to the underside of the floor are long mounting beams for fitting to the lower chassis and there are locating recesses on the floor underside to make for a good alignment with the chassis frame. Other smaller fittings to the cargo tray are the rear number plate bracket and tail light and two pioneer tools which have moulded on tool clips added to the real gate. 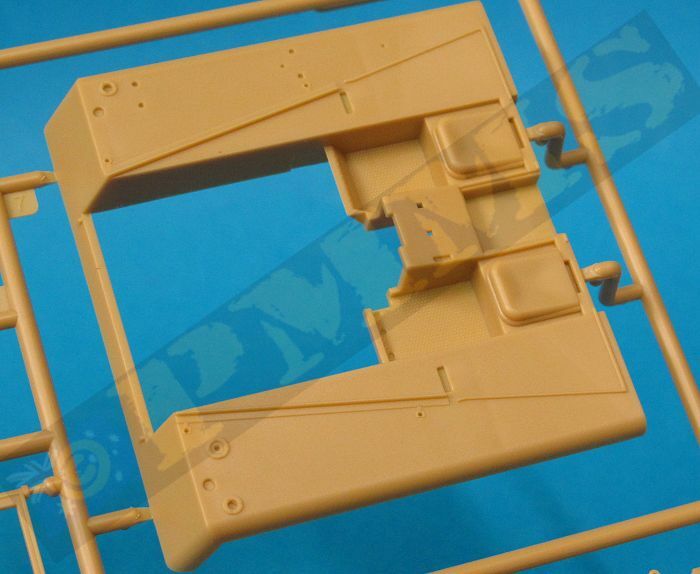 The fit of the assembled cargo tray to the lower chassis is spot on and trouble free and this allows you to paint the sub-assembly separate and add later in the final assembly. On the inside are two wooden bench seats with backrests also with nice wood grain free of pin marks plus the upper front wood panelling, rear and top supports for the canvas cover often seen fitted along with the new full canvas tilt cover supplied in clear plastic to allow blemish free window joins. The detail and texturing on the clear canvas is very well done although it’s hard to see before adding a primer paint coat to show this fully. 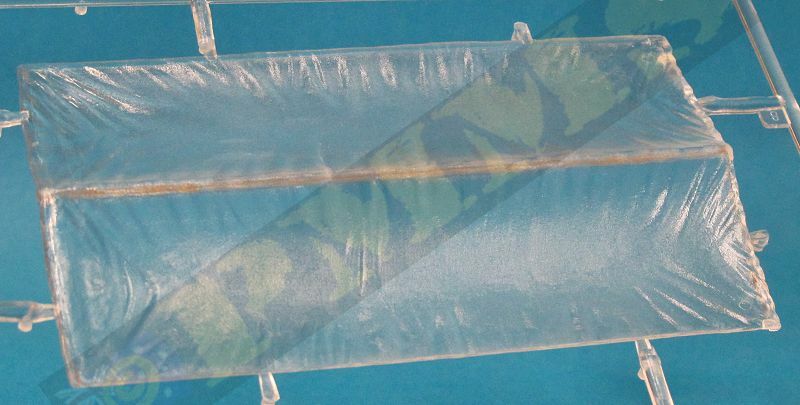 The cover is in four main parts, the sides, rear and top sections with bevelled edges for a gap free join, but there are no locating pins so make sure the joins are aligned perfectly while glue as the clear plastic does make it harder to see the joins during assembly. 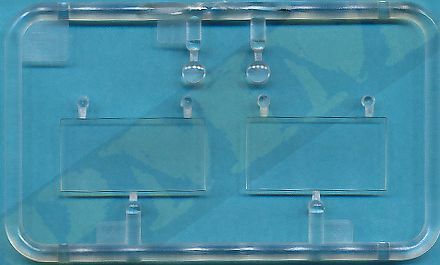 The assembled tilt cover is designed to fit over the plastic tilt frames but you need to trim some of the details from the sides of the tray as indicated in the instructions for the cover to fit properly. The fit is very snug indeed over the frames and carefully working this into place is the best option, I had one small issue in that the left rear corner join popped open and you will need to trim some plastic from the insides of the cover at this point to get a better fit. As this was the only corner to give any problems you may wish to simply fill any gap once the cover is in place to make things easier the choice is yours really. 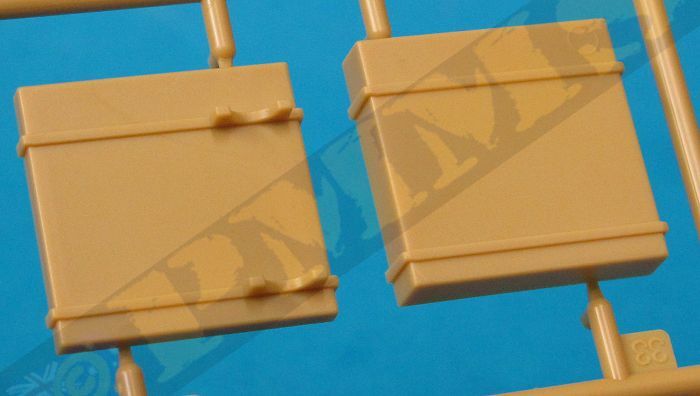 The cover has excellent texturing and fabric details for a plastic cover and looks quite impressive when in place and fitting this means you don’t have to worry about the insides of the tray or adding a load as you can’t see inside apart from the small windows after painting. 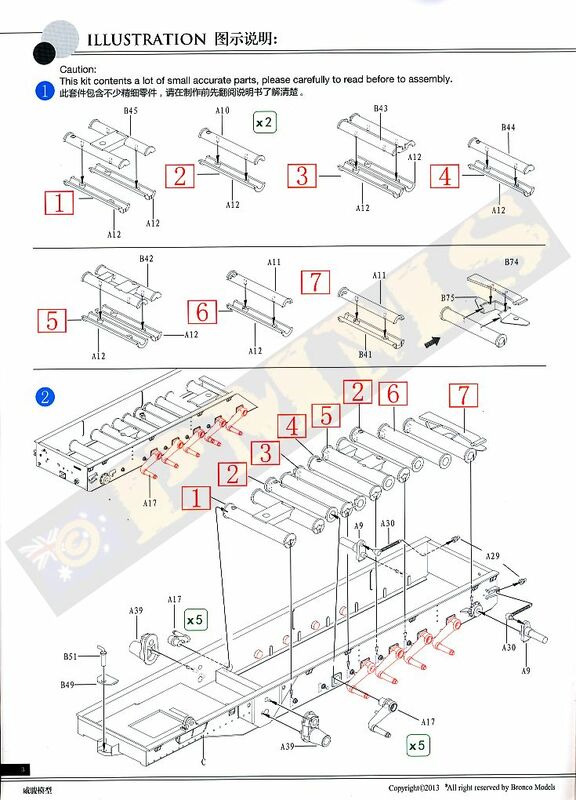 These are the usual exploded view line drawings which are clear and easy to follow, I didn’t notice any miss numbered parts or other bloopers but of course you should study these carefully before assembly to eliminate any problems. 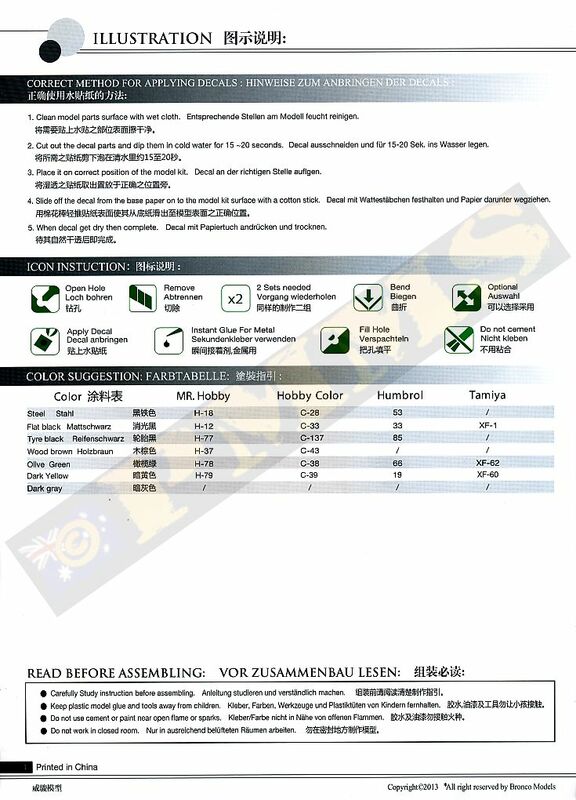 The small decal sheet is well printed in black & white with two WH number plates, two data blocks, unit insignia, 5 Allied stars and the instrument panel dials. 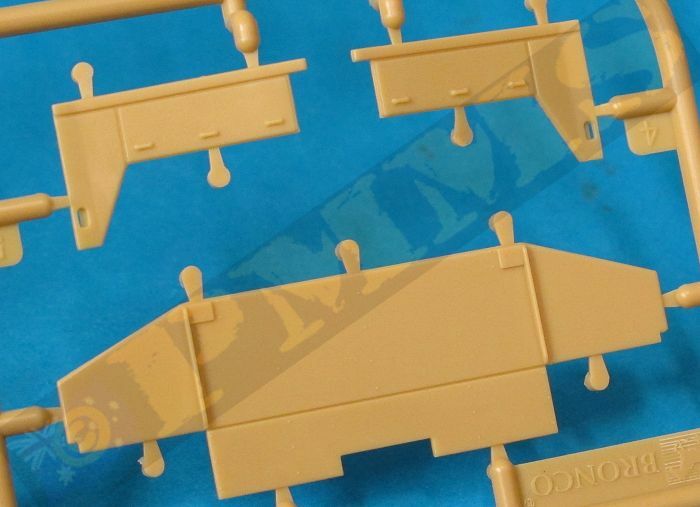 The paint schemes provided are just three vehicles in overall dark yellow with two Wehrmacht vehicles and one sWS captured by U.S. Forces in 1945 which is in the standard paint scheme with the Allied Stars added. 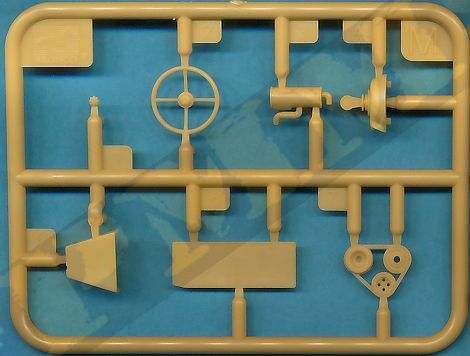 The overall quality of the kit is very well done with the basic sWS vehicle featuring some excellent details such as the fully corrected engine and transmission, the driver’s compartment interior, rear cargo tray plus the new full canvas rear tray and front compartment doors as well as being mostly dimensionally acceptable overall. There is very little clean-up required and the fit of the parts very good overall with the front wheels and running gear/track being especially well done with the only issue being the road wheel sizes as described above. 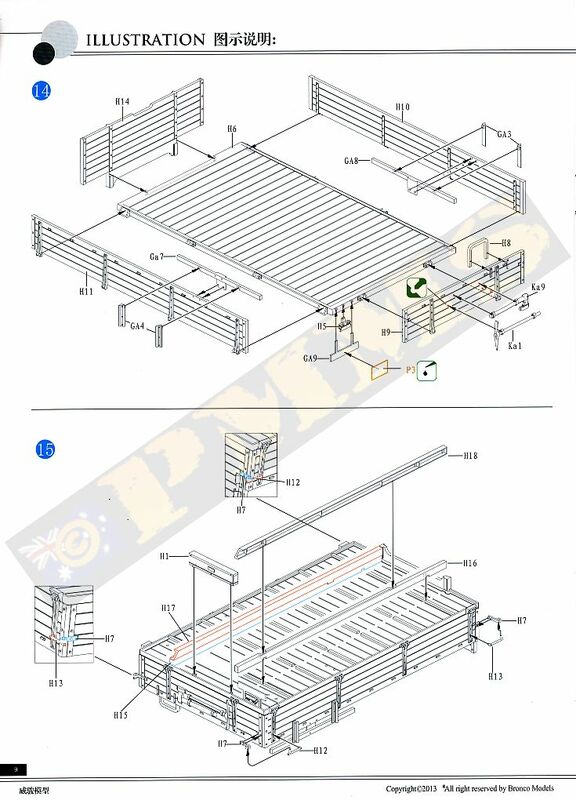 The inclusion of the full canvas tilt cover and front canvas doors is especially welcomed and these are very nicely textured and well done for plastic parts and add a distinctive appearance to the model over the basic open configuration.